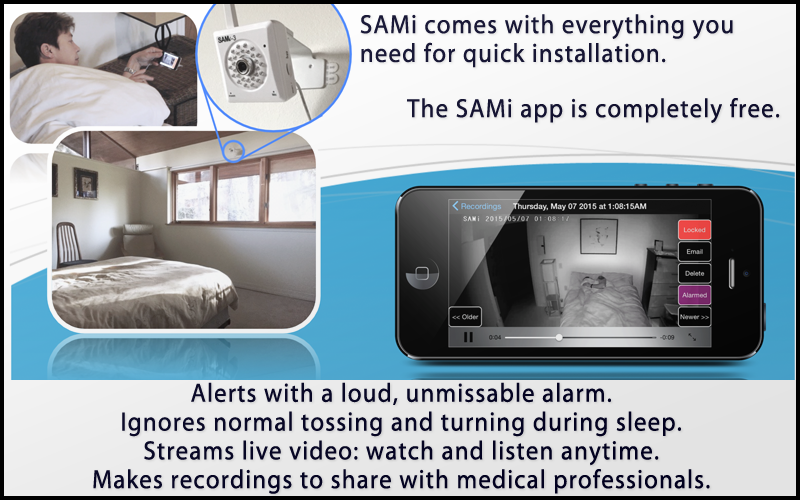 SAMi® is a sleep activity monitor for caregivers and individuals who need to watch carefully for unusual movements at night. 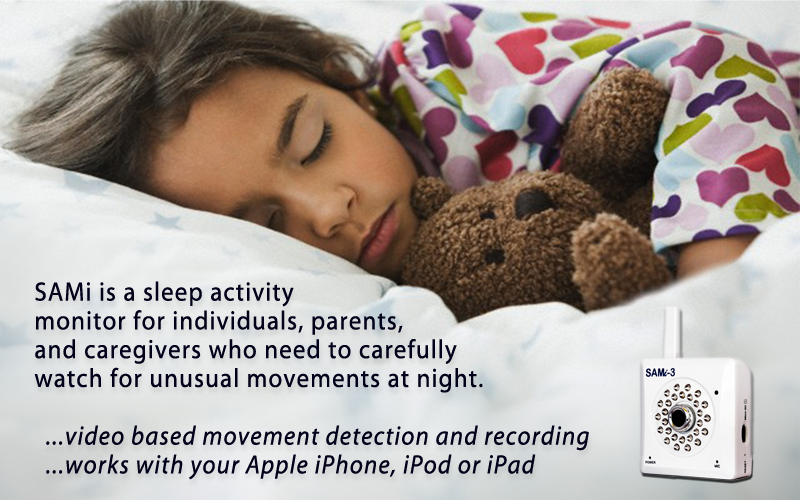 During sleep, audio-video information from a remote infrared video camera is sent to an app that runs on an iOS device such as an iPhone or iPod Touch. The SAMi app records and analyzes the video for unusual activity. When an unusual event is detected, it sounds an alarm and records live audio and video from the SAMi network camera. 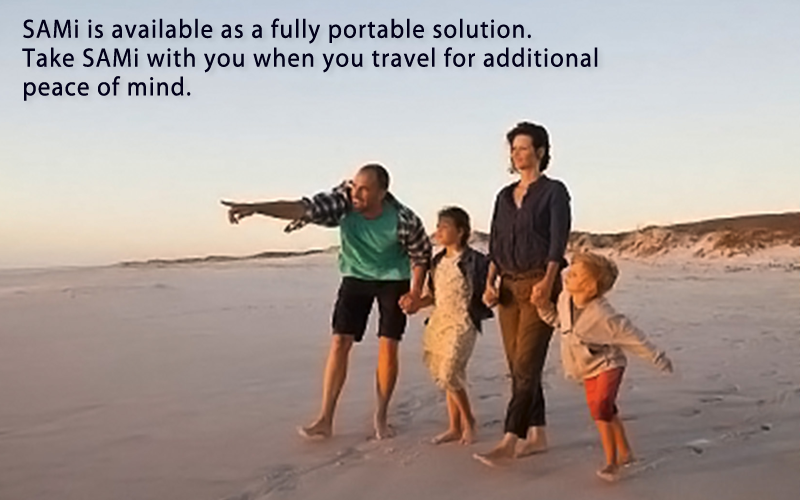 Within seconds, the individual or caregiver can take any necessary action. Help the Epilepsy Foundation improve public awareness. Check out all new new tricks SAMi can do!